If you’re tired of spending money at the barbershop every few weeks, you can get a great cut at home thanks to these hair clippers. Hair Clippers are the Essential Part of men’s grooming. You cannot avoid this part when it comes to hair clipping. Keeping this in mind the Grooming need of every man we have shortlisted, the best hair clippers Based on top necessary features. But before we proceed lets first tell you the exact requirements to choose the best hair clipper. Manual clippers depend completely on manpower and are operated with a pair of handles squeezed together like scissors to hold locks of hair for fast and close cutting. They are used most often in the military and in prisons. 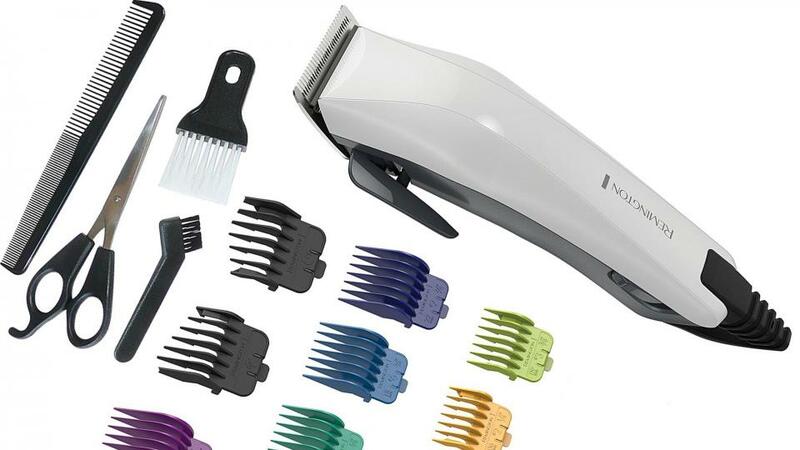 Electric clippers are turned on by either magnetic, rotary, or pivot motors. Apart From That blades that oscillate from side to side across a guiding comb. Electric clippers with rotary motors are turned on by either alternating current (AC) or direct currents (DC). Magnetic Style Clippers use alternating current power to drive the speed and torque of their blades across their guiding combs. Magnetic motors run at higher speeds than other types but don’t generate the same force. Noisier than rotary and pivot motors. Not as fast as magnetic motors but provide more power. Good for cutting thicker hair. They also run with less friction and do not have a big risk of overheating. Do an excellent job of trimming hair. When it comes to clipping, Blades are another important thing to consider. Style of the motor can make the difference in the quality of trim, but you also need sharp blades to truly get the most from it. You need strong and sharp blades if you want A quality trim. Shaving Blades are made of either titanium, or ceramic with long handles. But the best blades are Self Sharpening that means there is no need to get the replacement blades. They are made from stainless steel, which provides this feature of self-sharpening, which provides nice cost savings in the long run. They can also be used for cut trim or shape the human as well pet hair. 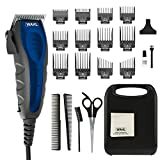 Most Electric clippers come with various accessories that increase the trimming experience and making it easier to get the trim or style that you desire. Comb attachments – help guide your trim. Although you can purchase these accessories in the market but. your first priority should be motor and blades You can get accessories replaced at cheap cost but if your product root is not good then its not worth. Cordless clippers are known best for their easy handling feature. It sets you free from the cord hanging here and there, that gets in the way or restricts your movement by trimming. But the thing to worry about a cordless model’s is its battery life. 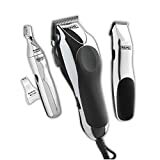 Cordless clippers have rechargeable batteries and many of them come with a charging base of some kind that enables you to bring your battery back to full power. But be sure to check your clipper’s battery life – more is better. 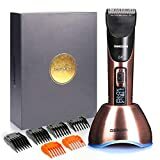 electric clipper sizes are nothing to deal with power its all about your requirement.If you have curly hair you can go with the one which has high power. In addition, if you intend on cutting thin hair, you may want to opt for a lighter model that’s easy to maneuver, especially around sides and back of your head. Although Electric Clippers are durable, they still need maintenance beyond a simple swipe of a brush to keep them working properly. Keep In mind that it’s an electric product and every electric product need timely maintenance it has some working parts which need to be taken care. For handling it carefully make sure its blades have properly placed The blades of most electric clippers are easily detachable, so it’s good practice to take the blades apart every time to make sure the parts are properly aligned and working appropriately. Regularly Oiling your clipper increase its life, by keeping the blade and internal components well lubricated. You can apply a drop of electric clipper oil or electric clipper grease to the blade corners and middle and thus leaving the clipper in running condition for half a second so that the oil gets evenly dispersed. POWERFUL AND DURABLE MOTOR - Quiet, low noise superior performance haircut machine. 【Powerful Adjustable Speed Motor 】Designed for professional barbers, 11 adjustable speeds (5500 RPM to 6500 RPM) bring the most smoothly and precisely hair cutting experience. Excellent machine for your brilliant hair artistry. 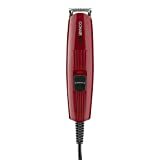 【Superior Cordless Operation Time】Built-in premium and safe Li-ion battery (2000mAh) can provides 5-7 hours hair cutting operation with cordless mode. Also supports corded mode to offer continuous operation no matter what power level the battery is on. 【Professional Hair Cutting Blades】The excellent self-sharpening precision durable blades are titanium ceramic blades, making the hair clipper lasts long and cut off any hair smoothly, easily and precisely. Adjustable length setting range is 0.8mm, 1.4mm and 2.0mm. 【Brilliant LED Display】High quality Crystal-Clear LED display to indicate Power Left status, LOAD status and SPEED. 【Variety of Charging Ways】Fabulous delicately designed dock can sit your clipper harmoniously in your room. While charging, the bottom rim will glow blue. Directly cord plug-in charging is also supported. 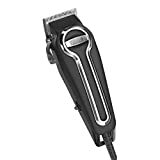 BUY TODAY - Wahl Clipper is the #1 brand of beard trimmers & hair clippers. The brand used by professionals since 1919, our made in the USA trimmer includes all the tools for a perfect look! SELF SHARPENING PRECISION BLADES - Patented technology provides superior cutting for all hair types & length. The blades are long lasting for quiet performance. 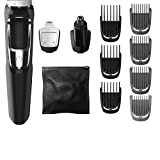 COMPLETE GROOMING SYSTEM - 4 different multipurpose attachments are perfect for all facial hair styles: T-Blade, Detail Shaver, Rotary Personal Trimmer, Detail Trimmer. For touch ups between hair clipping & detail shaving, mustaches, sideburns, goatees, stubble, nose, ear, other face & body hair! DUAL VOLTAGE - This cordless trimmer is equipped with a long-running lithium ion rechargable battery usable with 110v and international 220 volt. The perfect travel choice! GIVE THE GIFT OF QUALITY - Makes great personal gifts for the men in your life! 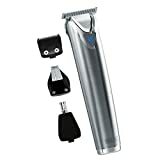 Dads, husbands, and boyfriends will love this top rated precise self-care trimmer for any occasion! 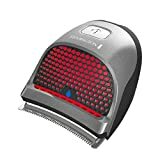 Ceramic Blade and Titanium Blade: Featuring the movable ceramic blade and the fixed titanium blade, the mens hair clipper delivers sharp performance and makes it easy to clean and last longer. 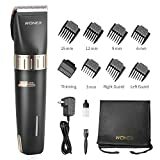 3.7V Motor and Lithium Power: The professional hair clipper with 3.7V motor and 2000mAh lithium power provides up to 240 minutes of run-time after 2-3h charge. Low vibration and low noise. Precise Length Control: 5 precise length control(0.8mm-2mm) and 8 guide combs (1/8",1/4",3/8",1/2", 5/8",thinning guard, left ear, right ear), allows multiple cutting lengths. 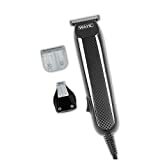 Cordless / Corded Operation: The cordless hair clipper can be used while plugged in. Ideal for home haircut and professional barbers. What You Get: 8 guide combs, travel pouch, charger adapter, oil, cleaning brush, instructions and 12-months free replacement warranty.